Since 1995, AERO Race Wheels has become racings largest premier steel racing wheel supplier. Ask and you shall receive. We now have 15" 4-lug wheels. This wheel has knife edged bead humps, maximum bead seats, low run-out and center disc made with HSLA material. 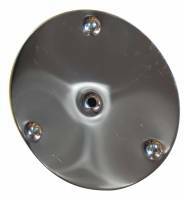 Aero 30 Series 13" x 7" - 4 x 4.25"
The Aero 30 Series Wheel is a low run-out wheel with knife-edged bead humps. It has a 7-hole D-window center disc made of HSLA material with a new torque ring design. The 13x7 wheel is legal for Legends competition. Aero 30 Series 13" x 7" - 4 x 4.5"
Aero 30 Series Roll Formed Wheel - Black - 13" x 7" - 2" Offset - 4 x 4.25" Bolt Circle - 15 lbs. Aero 30 Series Roll Formed Wheel - Black - 13" x 7" - 2" Offset - 4 x 4.50" Bolt Circle - 15 lbs. Aero 30 Series Roll Formed Wheel - Black - 13" x 7" - 3" Offset - 4 x 4.25" Bolt Circle - 15 lbs. Aero 30 Series Roll Formed Wheel - Black - 13" x 7" - 3" Offset - 4 x 4.50" Bolt Circle - 15 lbs. Aero 30 Series Roll Formed Wheel - Black - 13" x 8" - 2" Offset - 4 x 4.25" Bolt Circle - 16 lbs. Aero 30 Series Roll Formed Wheel - Black - 13" x 8" - 2" Offset - 4 x 4.50" Bolt Circle - 16 lbs. Aero 30 Series Roll Formed Wheel - Black - 13" x 8" - 3" Offset - 4 x 4.25" Bolt Circle - 16 lbs. Aero 30 Series Roll Formed Wheel - Black - 13" x 8" - 3" Offset - 4 x 4.50" Bolt Circle - 16 lbs. Aero 30 Series Roll Formed Wheel - Chrome - 13" x 7" - 2" Offset - 4 x 4.50" Bolt Circle - 15 lbs. Aero 30 Series Roll Formed Wheel - Chrome - 13" x 7" - 3" Offset - 4 x 4.50" Bolt Circle - 15 lbs. Aero 30 Series Roll Formed Wheel - Chrome - 13" x 8" - 2" Offset - 4 x 4.25" Bolt Circle - 16 lbs. Aero 30 Series Roll Formed Wheel - Chrome - 13" x 8" - 2" Offset - 4 x 4.50" Bolt Circle - 16 lbs. Aero 30 Series Roll Formed Wheel - Chrome - 13" x 8" - 3" Offset - 4 x 4.25" Bolt Circle - 16 lbs. Aero 30 Series Roll Formed Wheel - Silver - 13" x 7" - 2" Offset - 4 x 4.50" Bolt Circle - 15 lbs. Pit Stop USA is The Online Motorsports Superstore! In 1995, AERO Race Wheels was established on the conviction that the company could provide higher quality wheels designed specifically to endure the tough requirements and conditions of the racing industry. Since then, AERO Race Wheels has become the largest premier steel racing wheel supplier and the Aero racing wheel product line speaks for itself. Since November 2nd of 1997, AERO's NASCAR wheel has won more NASCAR Nextel Cup, Busch and Truck races than all other brands combined. AERO is also the wheel of choice for virtually all NASCAR Busch Grand National teams, as well as a large number of NASCAR Craftsman Truck and Dash Series teams. AERO wheels are also produced for grassroots racing. The different series of AERO wheels are manufactured for the weekly warrior at both dirt and asphalt tracks. Racers who participate in such sanctioning bodies as IMCA (International Motor Contest Association) and WISSOTA race on our wheels. We are also the official wheel of AMRA (American Motor Racing Association), IROC (International Race of Champions), and NCRA (National Championship Racing Association). AERO prides pride themselves on continuous product improvement and consistent service and support for all their customers. AERO Race Wheelas motto, "Surpassing the Standard" is the motivation for everything they do. We offer Aero Series 31 Spun Shell Wheels, Aero Series 50 Rolled Shell Wheels, Aero Series 51 Spun Shell Wheels, Aero Series 51 Spun Shell Wide 5 Wheels, Aero Series 52 Chrome Rolled Shell Wheels (IMCA Legal), Aero Series 52 Rolled Shell Wheels (IMCA Legal), Aero Series 53 Chrome Rolled Sheel Beadlock Wheels (IMCA Legal), Aero Series 53 Rolled Shell Beadlock Wheels (IMCA Legal), Aero Series 53 Rolled Shell Wide 5 Beadlock Wheels, Aero Series 56 Extreme Bead Spun Wheels, Aero Series 58 Lightweight Rolled Shell Wheels, Aero Series 59 NASCAR Wheels and Aero Beadlock Parts & Accessories at low everyday prices!